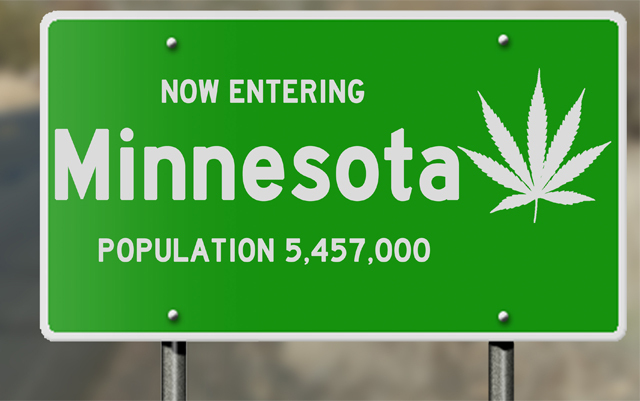 Home Legislative Will Minnesota Lawmakers Legalize Adult Use Marijuana? The year 2019 will be a tough one to encapsulate when it ends. There is so much going on this year in the cannabis law reform movement that a short summary will be impossible come late December. More than a dozen states will be deciding on some form of marijuana legalization or decriminalization – not to mention all the activity expected on the federal level in the U.S.
One of the states expected to make headlines this year for marijuana policy changes is Minnesota. Lawmakers in the state have introduced adult use legalization legislation that would allow limited amounts of cannabis possession, purchases and home growing. The legislation would also allow local control over marijuana retailers and processors, seed-to-sale tracking, criminal record expungement and money dedicated to help neighborhoods hit hardest by prohibition. With the forces that support cannabis prohibition being spread thinner every year, it’s important to push marijuana law reform on as many fronts as possible. Whatever resources they can muster will either be split up to fight legalization in several states, or prohibition forces will focus on one or two big fights in the hope that they can somehow slow down the legalization juggernaut. The next 2 years will be brutal for those who fight against legalization. The blows will come from every direction and they will not let up. The time is now to get involved in your state, whether it be in Minnesota or elsewhere.